The PT15 I.R. 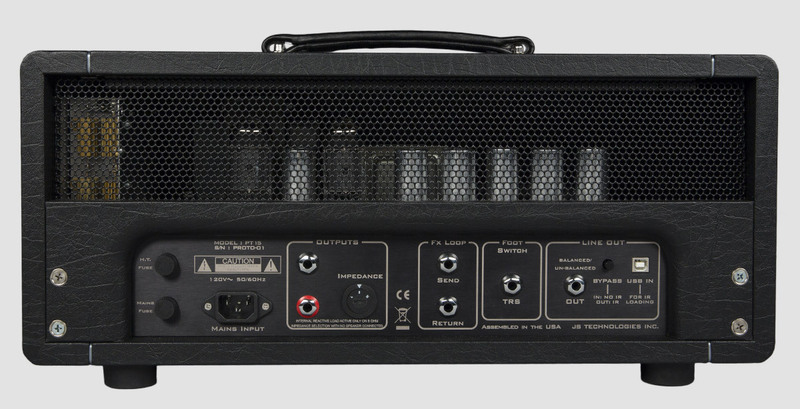 is the world’s first truly hybrid amplifier, marrying classic tube circuitry with a reactive load and digital impulse response technology. With the PT15 I.R. we set out to combine the strengths of both analog and digital to create something new. The addition of a built-in Reactive Load and on-board impulse responses, make using a speaker cabinet optional for recording, or feeding front of house with a studio quality mic’ed up tone. Also included is a headphone output and auxiliary input to practice and jam along with your favorite tracks, wherever you are. 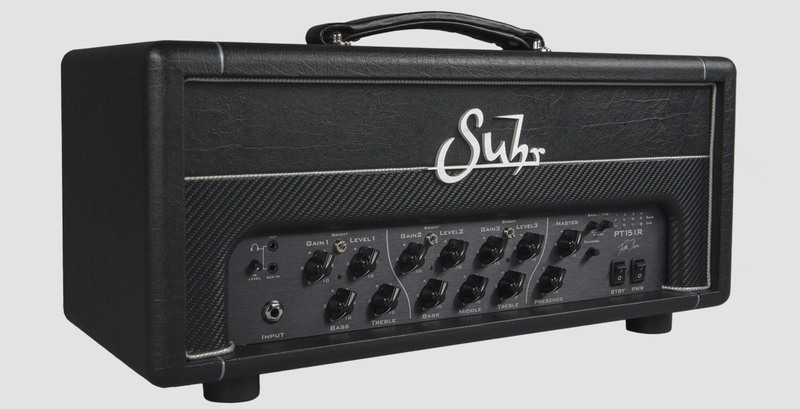 The all-tube three channel design offers a plethora of American and British tones, powered by a new 6V6 driven power section. 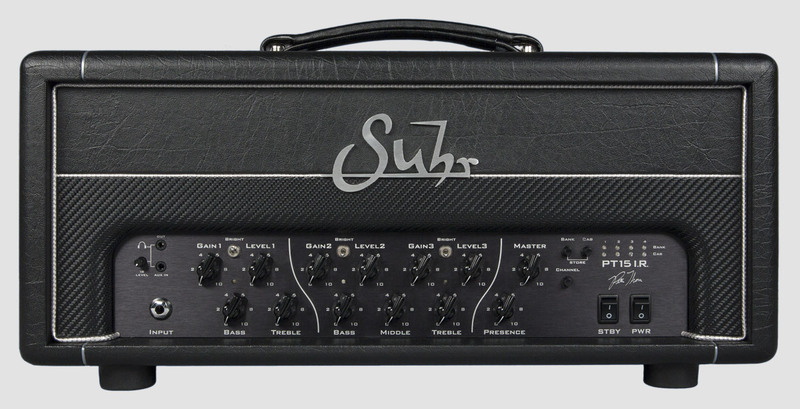 The dynamics, overdrive, saturation and harmonics that we crave as tonal purists, is all here. 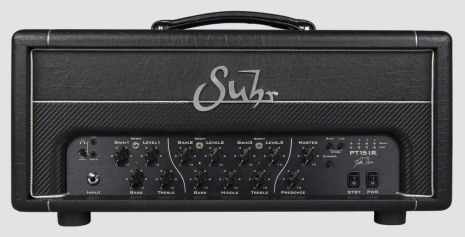 By adding channel assignable IRs, you now have unprecedented versatility and control over your tone, expanding your choices more than ever before. Each of the three channels can be assigned its own unique impulse response. This means, for example, you could assign an open back 2x12 to your clean channel and two different closed back 4x12s for your lead channels. The PT15 I.R. 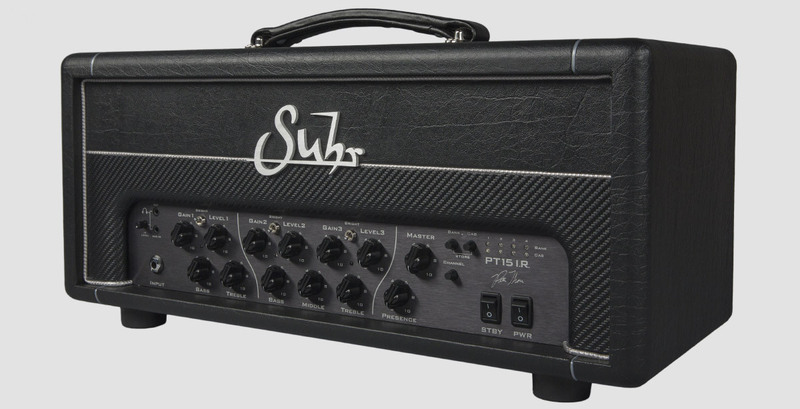 comes loaded with 16 impulse responses of Suhr speaker cabinets. Because it is an open system, you can load your own third-party IRs via USB. The best partner in the bedroom. Simply connect your headphones to the front of the amp, select an IR, and practice silently with no speaker cabinet required. Connect any stereo 1/8″ audio source to the AUX IN connection and you’ll hear the IR processed signal along with your backing tracks through the headphones.